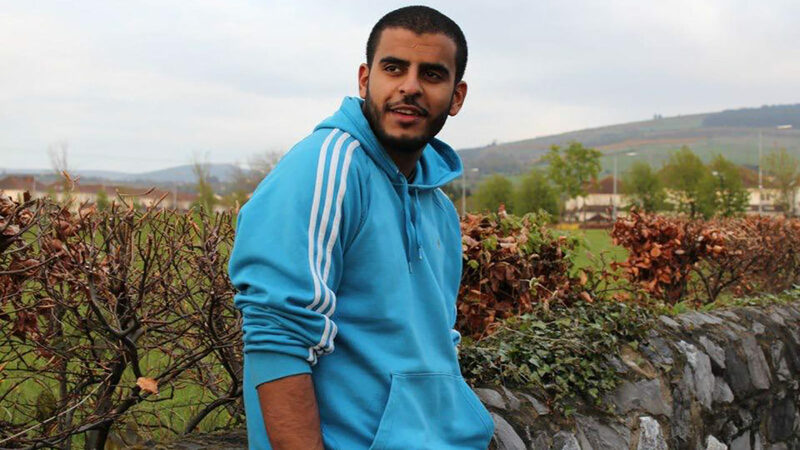 Ibrahim Halawa, the young Irish citizen imprisoned in Egypt, has been released from prison after more than four years in detention. On 18 September, Ibrahim was acquitted of all charges against him. The verdict came after more than 30 adjournments and delays. Ibrahim was just seventeen years old when he was first arrested while taking sanctuary in the Al Fath mosque. His sisters Omaima, Somaia and Fatima were also arrested and released on bail. They have also been acquitted of all charges. Ibrahim, the youngest of the family, was incarcerated for 37 months. Ultimately, he spent more than 1,500 days in an Egyptian prison. “Ibrahim is free and will soon be safely home with his family in Dublin. It is thanks to the determined work of his lawyers and campaigning of his family, friends and Amnesty activists that his horrific ordeal has finally come to an end. Ibrahim should never have had to endure this horrendous experience. He has lost four years of his young life and nothing can ever excuse that injustice. Thankfully, his nightmare is finally over and he can now begin to move on with his life. Throughout the four years of his detention, Ibrahim’s family never gave up. They campaigned relentlessly with determination and energy. I am proud and privileged to have worked alongside them, particularly his sisters who are incredible, tenacious women who campaigned with enormous courage. Their love and concern for Ibrahim inspired all who worked for his release,” said Colm O’Gorman, Executive Director of Amnesty International Ireland. Amnesty researchers on the ground at the time of his arrest confirm that Ibrahim could not have carried out the violent acts he was accused of. Throughout the trial process, the prosecution did not produce a single shred of evidence against him. Amnesty International’s detailed analysis of the case concluded that he was arrested and arbitrarily detained solely for peacefully exercising his right to freedom of expression and freedom of assembly. The organisation declared Ibrahim a Prisoner of Conscience and campaigned relentlessly for his release. “Today is a day that thousands of Amnesty International activists across Ireland and around the world have been waiting for. Over the last four years, they stood in solidarity to free Ibrahim. Our activists have signed petitions, delivered 13,000 campaign postcards to Egyptian President al-Sisi and placed hundreds of calls to the Egyptian Embassy protesting his detention. Throughout the campaign, we partnered with trade unions, student organisations and other non-governmental organisations calling for his release. Together, these actions have shown how ordinary people can make a real difference to help free Prisoners of Conscience like Ibrahim,” said Colm O’Gorman. Ibrahim was one of 494 defendants facing a grossly unfair mass trial. Amnesty International is continuing to call for the other defendants in the case (who were sentenced to between five years and life imprisonment) to be re-tried in line with international due process standards or released. “Ibrahim’s acquittal and release puts an end to the gross injustice he experienced. However, it is utterly disgraceful that the Egyptian authorities have handed out heavy sentences to 442 others after sham proceedings in a mass trial that flouted the most basic standards of a fair trial. Meanwhile, the security forces who used excessive and lethal force during protests that day have escaped unpunished,” said Colm O’Gorman. Amnesty International is calling for any other defendants who were detained and sentenced for peacefully exercising their rights to protest or expression to be immediately released. The organisation analysed the casefile and spoke to at least five lawyers working on the case. It found that the court had relied entirely on unsound reports by security forces and investigations conducted by the National Security Agency as a basis for the convictions. According to an audio-visual evidence report sent by Egypt’s Ministry of Interior to the court, out of the 330 defendants who have been detained in the case for more than four years, only two of the defendants appear to have evidence against them.